Posted January 7th, 2019 by admin & filed under Accounting Solutions. Forming conceptions about things before doing it is really good, it proves you have the tendency of actually foreseeing things. But conceptions can turn to misconceptions if you don’t actually try authenticating the thoughts with reality. The same thing works when it comes to outsourcing small business accounting services. Many people have some disbelief in their minds regarding outsourcing accounting services. You too might have felt hesitant when it comes to outsourcing. 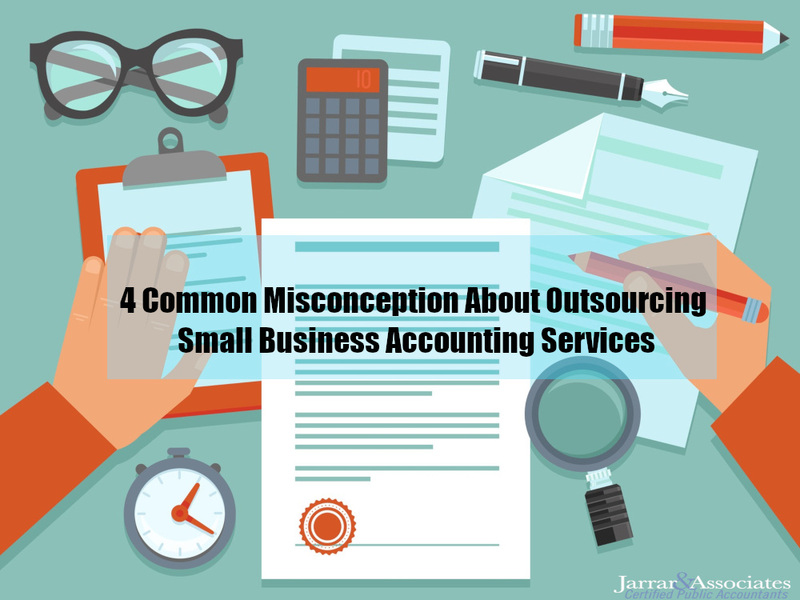 Here are some of the points that are completely mistaken when talking about small business accounting service outsourcing. When you are thinking of small business accounting services, you might have heard that it is expensive and probably beyond your budget. But this is a misconception that most business owners have. However, when outsourcing it, you need to pay them hourly, that is for the fixed number of hours they have worked. So, this is actually economical and not expensive. The majority of business owners think that accounting services are for large businesses only. However, this is completely a myth and you shouldn’t abide by it. interestingly, most of you don’t know that outsourcing concept first came into existence for the small business only. This is mainly because the small business owners couldn’t manage it all as well as the time. Whether you or not, the reality is about 40% to 60% of the accountants actually work for small businesses than large businesses. When outsourcing small business accounting services, you often get skeptical about the overall process that you need to handle. This includes sending files, getting the report ready calculation queries, etc. These are considered to be complicated and tiring, but this isn’t that way. The accounting service providers have skilled and experienced accountants as well as proper software to help you out in the process. It is one of the biggest delusions most small business owners have, in fact, you too might have it. Trusting a professional with your business details can be difficult. But if you choose the right accounting services firm you can get the best service. Since companies’ facts and figures are crucial information that you cannot afford to leak. However, accounting professionals know how to work and handle the important files no matter how confidential it is. There is another concern that business owners have while outsourcing accounting services. In fact, you might worry about the time management thinking if the accounting service provider’s time zones vary, it would impact your business. You might think it would be difficult for you to get in touch and contact them. Now, what you need to know that is most of the small business accounting services come with 24/7 support so the work gets accomplished successfully.